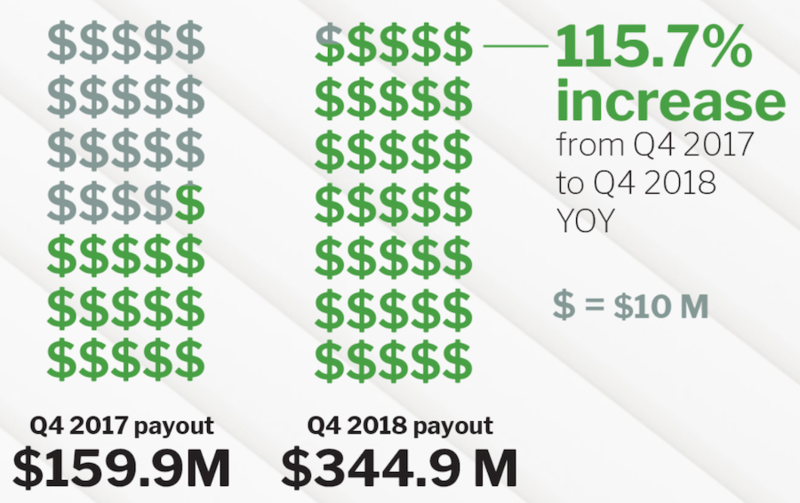 SoundExchange released the details of its artist payouts in 2018. The company distributed more sound recording performance royalties to artists and rightsholders during 2018 than it did in any previous year. The annual total was a record-high $953 million. The performance closed with $345 million distributed in the fourth quarter, up 115.7% from the final quarter of 2017. The Q4 distributions were made to 34,048 payees, up from 24,795 in the year-ago period. SoundExchange’s new registrations also rose for the final quarter, up 3.2% on year from 8,096 to 8,353. Steve Pratt: Who is going to scale the podcast industry? It might not be who you think.